newbies here again sory have to re post it as my early thread being deleted.And i will to get some feedback from you guys and gers. As recently i have just passed my big 36 and still single . One my friend intro this dating agency to me . But i am not sure whether shall i take my friend advice. jin emo. Hope to hear some good advised form you . 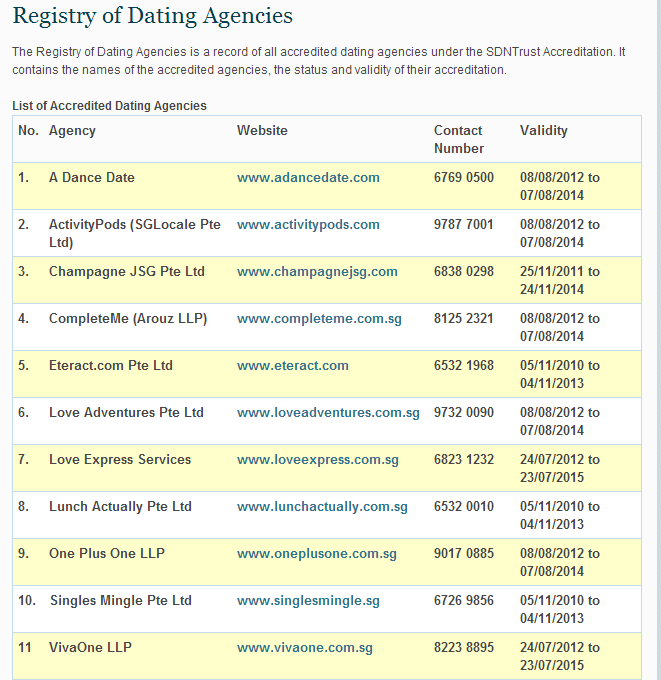 but do you think our SDN Trust Accreditation dating agency in name are more of profit driven. check some and find that all every ex. more my pay is not executive type of pay. most of these high end ...see some of the event like over charge. SDN accredited agencies are normally for "elites". went to a few and all suggested that guy must have degree to join as the girls there prefer degree holders..
How about those without degree but earning quite decent? I would like to try good luck friends too. Anyone have any experiece or any matchmaking agencies which cater to non-degree holders? I am with this goodluck matchmaking 2 years ago.... their service is very traditional one to one service. the SDN thing got or dont have doesnt make sense to me. I tried before champagne and other events type all more on friends not on marriage purpose I personally felt. I'm not married or successful yet but i was with one girl introduced by goodluck. I think everyone fate depends but step out if not how to find ya. Hope you find ur partner soon.